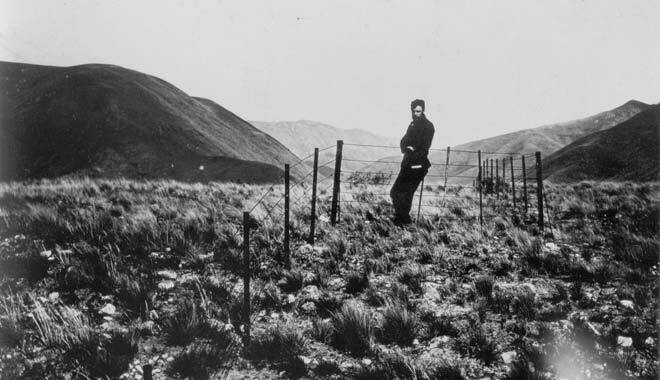 An earthquake in North Canterbury on 1 September 1888 caused a fracture along a 30-kilometre section of the Hope Fault. The sideways (transcurrent) movement of 2.5 metres is marked by the offset fence, which was broken by the quake but later repaired. This photograph was taken later by the geologist Alexander McKay, whose son William is standing alongside for scale. Because it was then thought that only vertical movements took place across faults, McKay’s observations were dismissed for many years as an oddity.